Mohamed Khouna Ould Haidallah born 1940, was the head of state of Mauritania (Chairman of the Military Committee for National Salvation, CMSN) from 4 January 1980 to 12 December 1984. After 1975, Haidallah commanded forces in the north of Mauritania and Tiris al-Gharbiya (Western Sahara), in the war against Polisario Front guerrillas, notably in the Zouerate region and Bir Moghrein. In 1978, with the country in severe disorder, he participated in a coup d'état that overthrew Mauritanian President Mokhtar Ould Daddah. As a member of the CRMN military junta, he was promoted to the post of Chief of the General Staff. Haidallah became prime minister on 31 May 1979, a few days after the death in an airplane crash of the previous prime minister, Col. Ahmed Ould Bouceif, with whom he had seized power for the CMSN just a month earlier, from Col. Mustafa Ould Salek and the CRMN. In January 1980 he seized power from Ould Salek's successor as head of state, Mohamed Mahmoud Ould Louly. He continued to also hold the position of Prime Minister until December of that year, when a civilian, Sid Ahmed Ould Bneijara, was appointed to the post. His reign was marked by severe political turbulence, as Mauritania extracted itself from the war with the Polisario Front  started by Ould Daddah in 1975  and his regime faced a number of coup attempts and military intrigues. On March 16, 1981 a coup attempt against Haidalla failed. Haidalla accused Morocco of being behind the coup, which Morocco denied, and in the next month Maaouya Ould Sid'Ahmed Taya was appointed Prime Minister. Another attempted coup was allegedly sponsored by Libya. In March 1984, Haidallah took the office of Prime Minister again, replacing Taya, in a move to strengthen his personal power. On December 12, however, Taya ousted Haidallah in a coup while the latter was out of the country. Haidalla had been at a Franco-African Summit in Burundi and learned of the coup in Brazzaville, during his return to Mauritania, from Denis Sassou Nguesso, the president of the Republic of the Congo. Haidallah returned to Mauritania anyway and was arrested at the airport in Nouakchott; he was eventually released in December 1988. Taya promised to install democracy, but his rule was considered dictatorial by many; he was deposed by a military coup in 2005. Haidallah's main achievement was to make peace with the Western Saharan Polisario Front, which had been fighting Mauritania since it annexed part of the former Spanish colony in 1975. The CMSN opted for complete withdrawal from the conflict, evacuating southern Rio de Oro (which had been annexed as Tiris El Gharbiya) and recognizing the Polisario as the representative of the Sahrawi people. This led to a crisis in relations with the country's until-then ally Morocco, which had similarly annexed the remainder of Western Sahara, with Haidallah's government facing an attempted coup, troop clashes and military tension. Relations were completely severed between 1981 and 1985, when they were restored by Haidalla's successor. However, relations improved with Polisario's main regional backer, Algeria, with the Algerian government sending arms and supplies to bolster his regime. Haidalla's 1984 recognition of the Sahrawi Arab Democratic Republic (SADR, the Polisario's government-in-exile) as a sovereign nation appears to have been one of the triggering causes for Maaouya Ould Sid'Ahmed Taya's coup in 1984. On the domestic front, his most notable policies were the institution of Islamic sharia law in 1980-83, as well as several failed attempts to rebuild the political system shattered by the 1978 coup  first as a multiparty system, and then, after the first coup attempt against him, as a one-party state. It was also during Haidallah's rule that slavery was formally abolished in Mauritania, although the practice continues at a diminished level still today. He made a statement announcing the abolition of slavery in July 1980, and this was followed by a legal decree in November 1981. Political opponents were treated harshly, with imprisonments and those responsible for one of the failed coups against his government were executed. 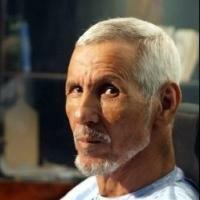 After returning to Mauritania in 1984, Haidallah was held in administrative detention for several years by Ould Taya, during which time he fell sick. After his release, he stayed outside of politics until 2003, when he returned to head the opposition. He then unsuccessfully ran for president against Taya in November, campaigning on a moderately Islamist platform, whereas Taya, who had established full diplomatic ties with Israel, was considered pro-Western. Haidallah officially came in second with about 19% of the vote, although he alleged fraud; he was arrested immediately after the election, accused of plotting a coup. Haidallah had also been briefly detained just prior to the vote. On December 28, 2003 he received a five-year suspended sentence and therefore was set free, but barred from politics for five years. An appeals court confirmed this sentence in April 2004. Also in April, his supporters attempted to register a political party, the Party for Democratic Convergence. Haidalla was arrested again on November 3, 2004, accused of involvement in coup plots. The prosecutor sought a five-year prison sentence, but he was acquitted on February 3, 2005 at the end of a mass trial of 195 people. Following a military coup against Taya in August 2005, an amnesty in early September freed Haidallah from his sentence, along with more than a hundred others sentenced for political offenses. On December 27, 2006, Haidalla announced that he would be a candidate in the presidential election scheduled for March 11, 2007. He campaigned on a nationalist-islamist platform, citing the struggle against poverty and slavery as priorities. On February 3, he gained the support of another registered presidential candidate, former opposition politician and prisoner under Ould Taya, Chbih Ould Cheikh Melainine, who dropped out of the race. However, no longer having the political base that came with being the main candidate of the opposition under Ould Taya, Haidallah was even less successful in the 2007 election, coming in tenth place and receiving 1.73% of the vote. After the election, which was won by Sidi Ould Cheikh Abdallahi, Haidalla announced his support for Abdallahi in October 2007.